This 7st model was asked by a huge fashion label to ‘starve’ herself for a show, but her response is absolutely on point. You’d think if a model was already 7st, they wouldn’t need to lose any further weight in order to be deemed ‘suitable’ to represent a brand. 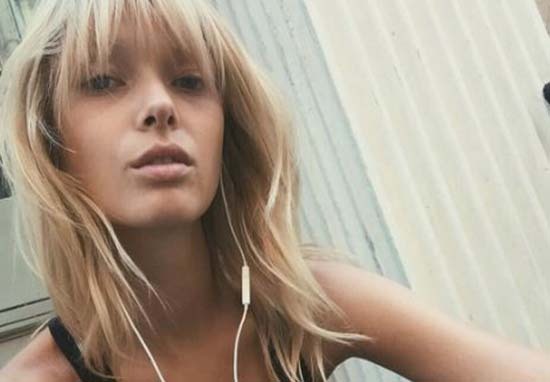 Danish model Ulrikke Hoyer – who has a 24 inch waist – was told by Louis Vuitton she was ‘too big and bloated’ for a show and promptly cancelled on her. Sunday at home #elsker ?? The 20-year-old had been ordered by the Ashley Brokaw agency to only drink water for 24 hours before the show in Japan, as there were problems during her fitting, but Ulrikke had rightly refused to do so. I was shocked when I heard it. I woke up at 2am and was extremely hungry. The breakfast started at 6:30am – I had the absolute minimum. Ulrikke – who was trying to have a tiny breakfast to sustain her though the gruelling schedule – said the casting agent witnessed her empty breakfast plate being taken away from her. Following this, her Danish agent then called to ‘tell the sad news,’ major fashion player Louis Vuitton had cancelled her from the show and she was to be sent home. Not only did I have a belly, my face was puffy now also my back was a problem. I am glad I’m 20 years old with an elite sports background and not a 15 year old girl, who is new to this and unsure about herself, because I have no doubt that I would then have ended up very sick and scarred long into my adult life. She shared her views in a poignant Facebook post, revealing some of the darker issues of the ‘glamorous’ industry. When I tell people I work as a model, I always get a very positive response as people have this idea that modelling is so easy and amazing and everything about being a model is glamorous. They are right, but far from all the time. The flip side of the coin is very different and anything but glamorous. When returning home from many of my trips I have often told my family that I think I look big compared to the other girls and that they are a lot skinnier than myself. As good and understanding parents, well off course they didn’t believe me as they could see that I was very skinny and sometimes worried that I was even unnaturally thin. But when my mom followed me around for show castings, she experienced it first hand. She was shocked to see how unhealthy and sad the majority of the young girls appeared. this is my hips being measured to 91,5 cm the 15th of May after returning from Japan. I am aware that I’m a product, I can separate that but I have seen way too many girls who are sooo skinny that I don’t even understand how they even walk or talk. It’s so obvious that these girls are in desperate need of help. The casting director for Louis Vuitton told Business of Fashion her assistant did not order Ulrikke not to eat and claimed all of the models were instead told to drink water to overcome jet lag and so as not to be dehydrated. It’s pretty disturbing to think models who are already thin can be given instructions to ‘starve’ themselves the night before a show. I find that extremely worrying and hugely distressing. No wonder so many people have big problems with eating disorders, The fashion industry should be ashamed.